MVA: I have been in a Motor Vehicle Accident – What do I do? MVAs can be scary. What happens after your MVA can be even scarier. Follow the steps below to ensure you are on the right path to the settlement you deserve. 1) You need to make sure you have the information (such as the name, driver’s license number and license plate number) of the other driver and the other vehicle involved in the accident. Make as many notes as you can regarding the MVA conditions and circumstances. You can then report the accident to ICBC by calling the ICBC dial-a-claim number 1-800-910-4222 to report the new MVA claim. Follow this link for a great tool you can use to document your MVA. 2) You need to be examined by your family doctor so that the doctor can diagnose your injuries and provide you with medical advice. 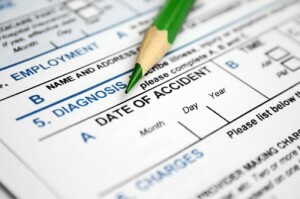 Be sure you tell your doctor that your visit is related to an MVA. If you cannot see your family doctor or do not have one, you can always visit another doctor in your doctor’s office or a doctor at the Oceanside Health Centre (link: http://www.viha.ca/locations/oceanside.htm) or hospital. 3) You need to get legal advice from a lawyer. Whether you were injured in a car accident, truck collision, motorcycle accident, bicycle or pedestrian accident, give John a call at 250-248-4148 to discuss the further steps you should take and to answer any questions you may have whether you were injured in a car accident, truck collision, motorcycle accident, bicycle or pedestrian accident. Remember, John will discuss any MVA case with you with no charge for the initial conversation. Get the settlement you deserve, contact us by email or call John A. Davis today.